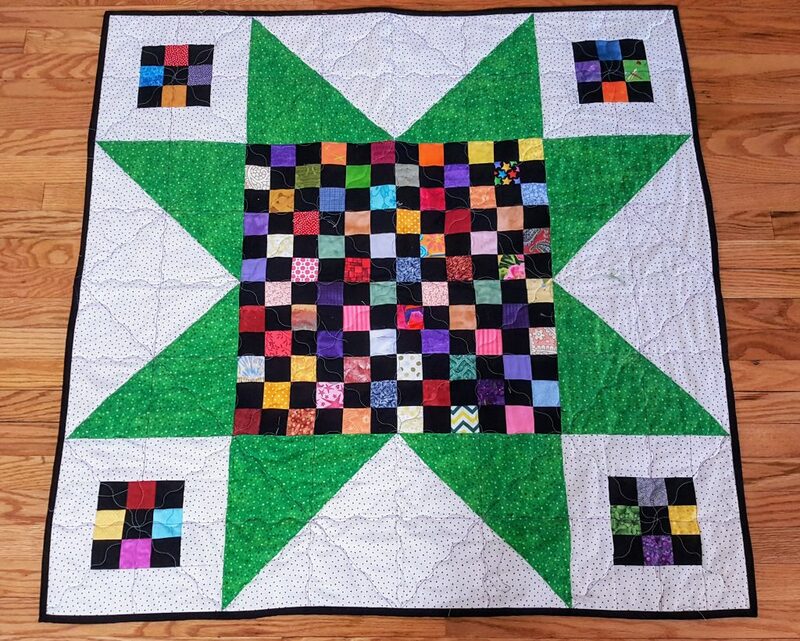 I’m so happy to have my 144 patch quilt completed. I first wrote about creating it quite some time ago in this blog entry. Now it’s finally completed and ready to gift or donate. I found a lovely light and medium green plaid flannel to back it with – even better it was just big enough with very little waste. I think I’ll make this one again, It was fun to make and I really like how it turned out. Maybe next time with a bright colour rather than the black. That’s so pretty! I love all the color in those patches. Great finish! What a great quilt! I really like those corner blocks!! Unique!